Malia and Natasha "Sasha" Obama have grown up before America's eyes. Just 10 and 7 years old when their father Barack Obama was elected to the United States Presidency in 2008, the two have since matured into lovely young women with ambitions and interests all their own. Now that the duo has officially moved out of the White House, here's a look at the untold truth of their journey to and through their two terms as First Daughters. Malia and Sasha Obama were born — both reportedly delivered by family friend, Anita Blanchard — just before their father's political ambitions began to really take stride. Michelle Obama revealed to Parade that when the former President was beginning his journey to the Senate seat for the state of Illinois, Sasha was still an infant and Michelle had to bring her to a job interview. "I didn't have a babysitter, so I took Sasha right in there with me in her crib and her rocker," she explained. "I told my boss, 'This is what I have: two small kids. My husband is running for the U.S. Senate. I will not work part time. I need flexibility. I need a good salary. I need to be able to afford babysitting. And if you can do all that… I can work hard on a flexible schedule.' I was very clear. And he said yes to everything." 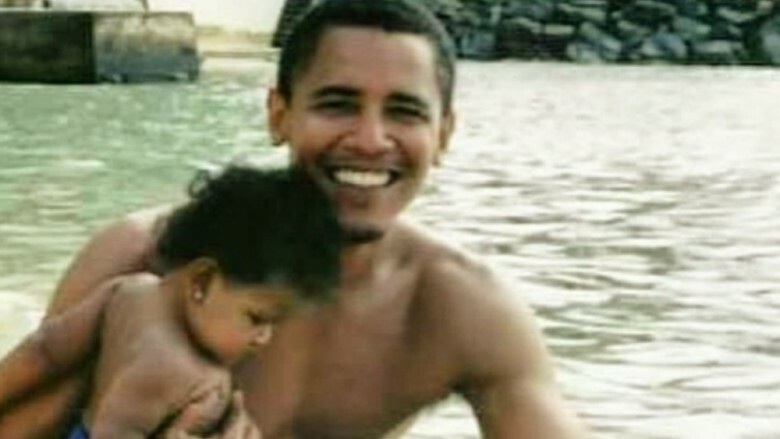 Around the same time Barack Obama was seeking a Senate seat, Sasha was diagnosed with meningitis, and despite his many challenges in the Oval Office, the former Father in Chief still counts her illness as the most difficult point in his life. 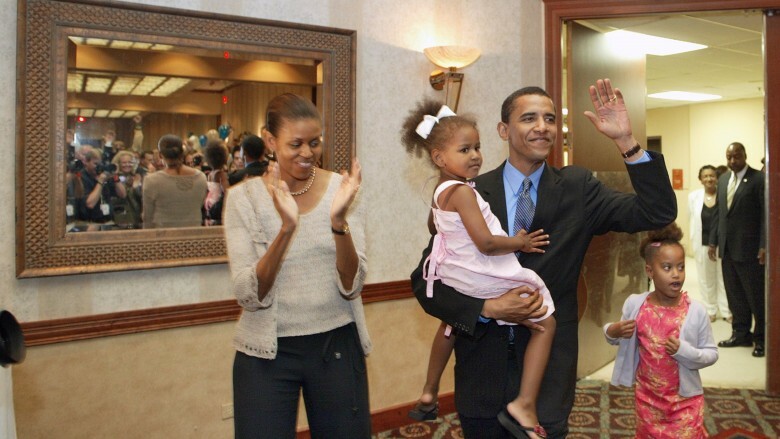 During a 2009 town hall (via Politico), Obama explained that his "precious pea" developed the disease when she was just 3 months old. "People ask me what was the hardest time in my life — they ask, well what about during the debt ceiling debate and this and that and the other thing. Sasha got meningitis when she was 3 months old. I still remember going to the hospital together and they had to give her a spinal tap. Your world narrows to this very small point. There's one thing you care about and you don't care about anything else." 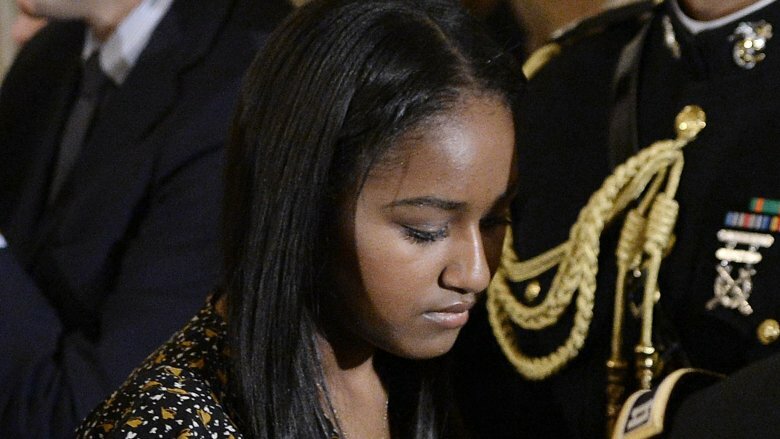 Ultimately, Sasha pulled through and went on to become the youngest child to reside in the White House since John F. Kennedy was President, according to Today. 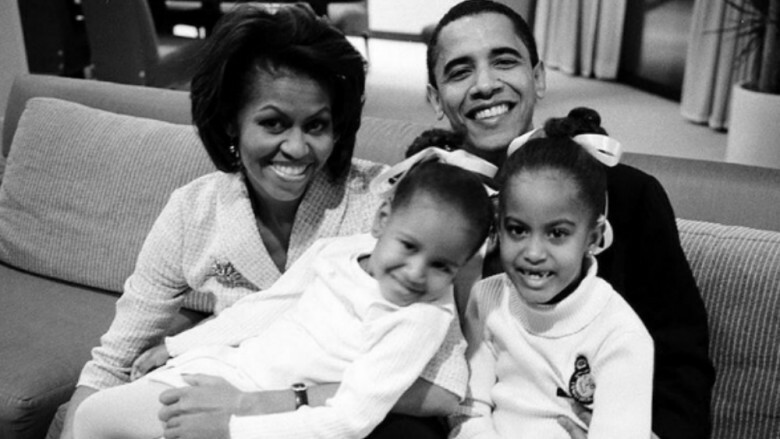 Despite their status as part of America's First Family, the Obamas made efforts to keep their daughters grounded in reality while growing up in the nation's capital. One such tactic, the couple revealed, was to keep their materialism to a minimum. They told People they didn't give the girls gifts on their birthdays — justifying that the expenses of the party alone was enough reward for the occasion — and that they didn't want them to become spoiled. "They get so much stuff that it just becomes numbing. Malia believes there is still a Santa Claus even though she's a little wary because some of her friends are non-believers. But Malia says, 'Ma, I know there is a Santa because there's no way you'd buy me all that stuff,'" Michelle explained. Their allowance for chores while back in Chicago, too, was pretty slim — they made just a dollar a week for helping out around the house, with obligations like setting the table and picking up their toys. They also had technology and television restrictions to only the weekends while in the White House and were forbidden from having dessert or post-dinner snacks if they skipped their vegetables at supper, Michelle revealed to The New York Times. Of course, they also weren't denied certain privileges associated with their parents' achievements. The girls were sent to some of the finest private schools in Chicago and Washington, D.C. — the University of Chicago Laboratory School and Sidwell Friends School, respectively. After his original inauguration, Barack Obama penned an open letter to his daughters in Parade, highlighting his hopes for their future. 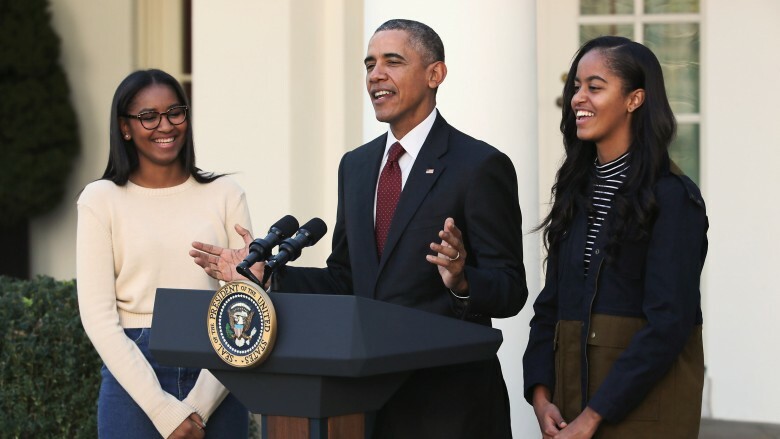 In addition to thanking them for their participation and patience during his campaign, Obama wrote his aspirations for his daughters that reflected much of his public policy decisions while in office. "I realized that my own life wouldn't count for much unless I was able to ensure that you had every opportunity for happiness and fulfillment in yours. In the end, girls, that's why I ran for President: because of what I want for you and for every child in this nation." In other words, it was Malia and Sasha who ultimately inspired the former POTUS' decision to run in the first place. 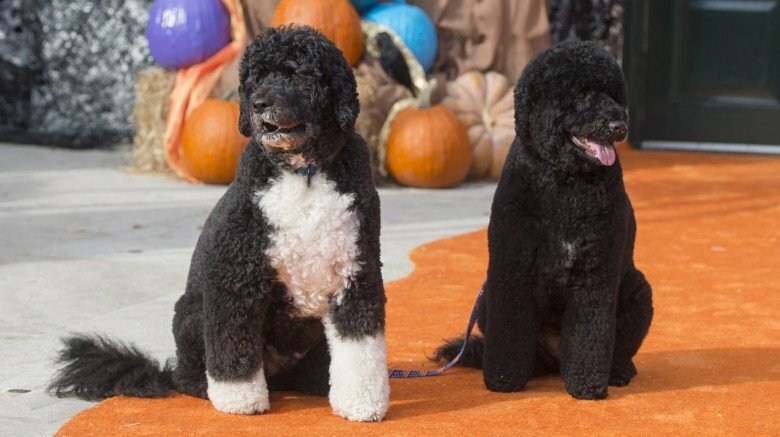 Their allowances might've been scant, but the Obama sisters did get a very nice thank you gift from their parents once Barack Obama won his bid for the White House: their Portuguese Water Dog, Bo. The animal was a gift from Senator Ted Kennedy and fit the family's criteria for a desired breed — namely, he is a hypoallergenic dog, which was of chief importance because of Malia's allergies. 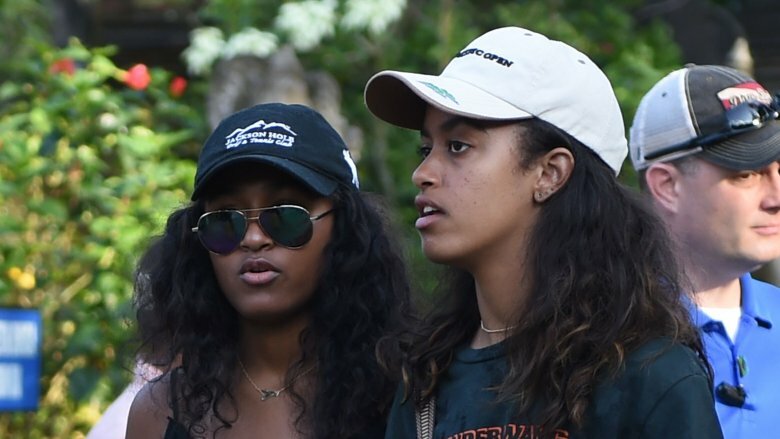 While Bo might seem like a nod to Barack Obama's initials, he was actually named by the Obama sisters as a tribute to Bo Diddley, since Michelle's father was nicknamed Diddley. The First Family added a second dog in 2013 to help fill the void left by Malia and Sasha growing up and not having as much time for Bo (or their parents, for that matter). As Barack Obama told CNN, "Bo was getting lonely because the two other puppies are grown up. And they still have some responsibilities for him, but they're not always around between school, sports practice, all that stuff. And so Bo was getting a little down in the dumps inside the house." If Malia and Sasha thought moving to the White House meant getting waited on hand and foot, boy were they in for a rude awakening. Michelle and Barack made sure the girls kept a strict schedule that included an 8 o'clock sharp bedtime and an ordinary routine of daily chores. As detailed by The New York Times, Malia and Sasha were expected to make their own beds, clean up their dog's bathroom piles, and get themselves ready in the mornings for school. As Michelle explained, "That was the first thing I said to some of the staff when I did my visit [telling staff] 'Don't make their beds. Make mine. Skip the kids. They have to learn these things.'" 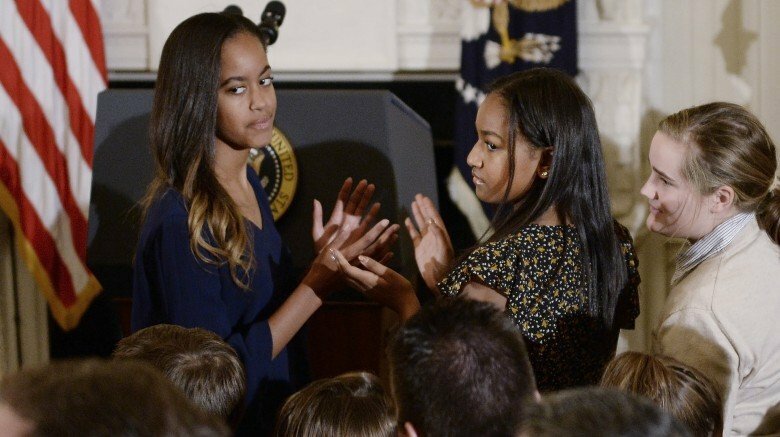 The Obamas might've tried to give their daughters normal teen lives where and when they could, but there were some things that just would never be ordinary about their upbringing at 1600 Pennsylvania Avenue. One such aspect was the experience of learning to drive. Instead of taking the wheel with one of her parents to learn the ropes, Malia was actually trained to drive by her Secret Service officials. Michelle told Rachael Ray (via CNN) that her then-16-year-old daughter was not only taught to drive by her protection agents, but that Michelle wasn't allowed to join them for the occasion. "The Secret Service [taught her], actually, because they wouldn't let me in the car with her," she explained, adding that Malia has on occasion since been able to ditch her security detail to drive on her own. "She always has security around. But in order for her to learn how to drive, she had to drive on her own. So once she was legally permitted to drive on her own, she gets in her car… Driving for Malia, I think, gives her a sense of normalcy, like the rest of her friends are doing. And my kids have got to learn how to live in the world like normal kids." 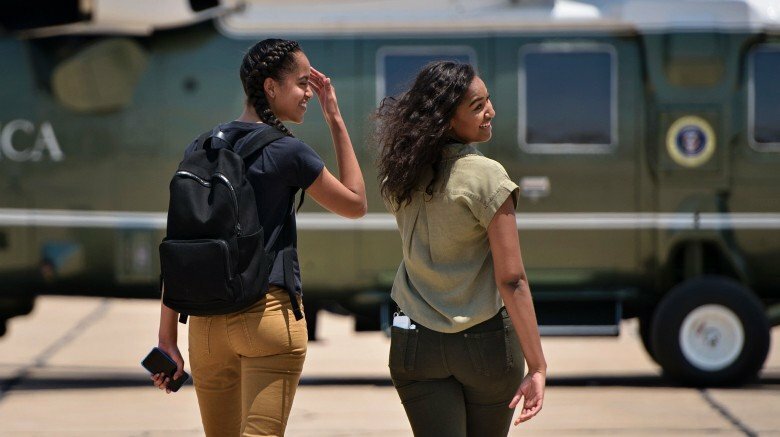 Fun fact: Malia and Sasha's Secret Service code names were Radiance and Rosebud respectively, while their parents' were Renegade (for Barack) and Renaissance (for Michelle). 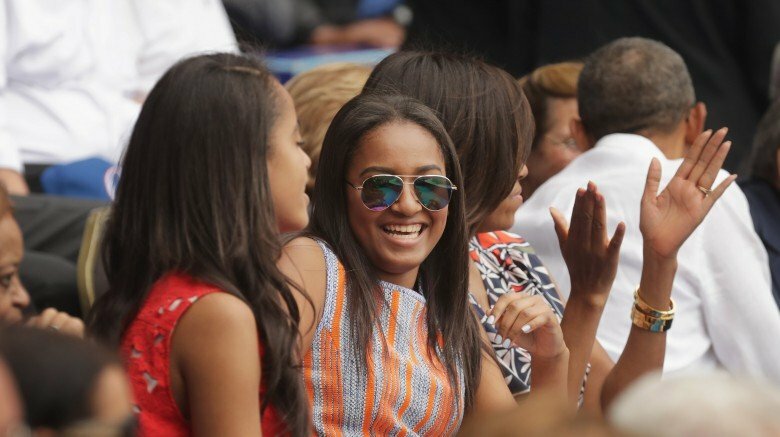 Barack Obama might've been a notorious fan of basketball and football, but his daughters' recreational activity of choice (well, sort of choice) is tennis. Michelle told crowds at the 2013 U.S. Open that she nudged her kids onto the court because of her own lack of access to the sport when she was growing up. "It's a great way to stay healthy, to stay fit, it's a lifelong sport, it's something I've tried to tell my kids — I forced them into playing tennis, because I didn't want them to be like me, but it's a great way to stay active," she said. She told The New York Times that one of her rules for the girls was to play two sports — one they enjoyed, and one they didn't pick. "I want them to understand what it feels like to do something you don't like and to improve," she explained. Malia in particular became very good at the sport and was even considered to be on track for a potential college career in the sport. When the Obama family made their historic trip to Cuba in 2016, it was Malia who did all the talking. The then-President told ABC News that his eldest daughter had become so strong with her Spanish-speaking skills that she actually served as his personal interpreter during the trip. He explained, "Her Spanish is much better than mine, and I'm hoping she has a chance to get entirely fluent." To practice, Malia joined some of her classmates on a trip to Oaxaca, Mexico in 2012, then enjoyed a summer 2016 embassy internship in Spain, before embarking on a secret three-month trip to South America later in the year. Although the Obamas have long championed keeping their daughters' internet use to weekends and school-related work on weekdays, that doesn't mean they've altogether been barred from social media. In 2016, while campaigning for Hillary Clinton, Obama inadvertently revealed that Sasha may have had a secret Twitter account, by declaring (as a dig at then-candidate Donald Trump), "Everybody can tweet, but nobody actually knows what it takes to do the job until you've sat behind the desk. I mean, Sasha tweets, but she doesn't think that she thereby should be sitting behind the desk." The Twitterverse was subsequently abuzz with a search for the lowkey account but she's kept her handle under wraps (for now). 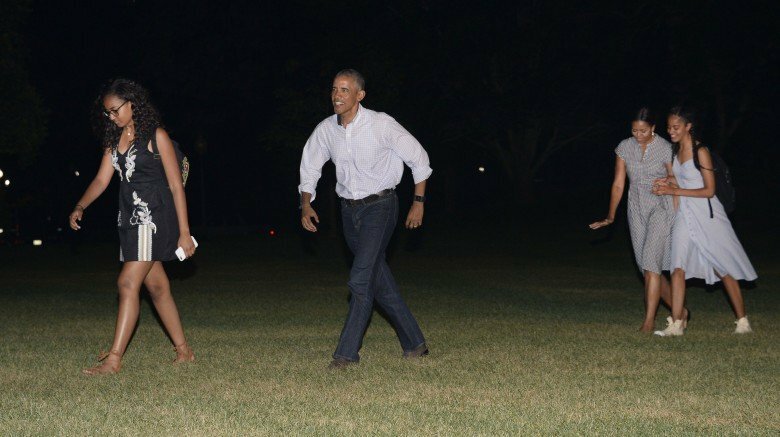 Once Malia and Sasha became old enough to start dating, Barack Obama joked that he wasn't concerned about their safety while in the company of any gentleman callers for the simple fact that they had their own Secret Service security details to supervise said dates. But another reason he wasn't fazed by the idea of his daughters developing romantic relationships is the example set for them by Michelle. He told WDCJ News (via ABC News), "Michelle, she's such a great example of how she carries herself, her self-esteem not depending on boys to validate how you look or you know, not letting yourself be judged by anything other than your character and intelligence. And hopefully I've been a good example in terms of how I've shown respect to my wife." After their dollar-a-week chore salary became too little for the girls to work for, they began taking up real part-time occupations outside of the White House. Malia interned for HBO's Girls and got to work on the set of the Halle Berry show Extant as a production assistant, which meant she was often fetching coffee for the cast and crew while helping to keep the set free of interference. About the experience of working with the First Daughter, Berry said, "she is graceful, and lovely, and just charming and delightful… she's pretty remarkable." Malia's interest in the Hollywood industry hasn't stopped there, as she will also intern for The Weinstein Company in New York City for the months leading up to her first year of college. Meanwhile, Sasha's first job was working the drive-through window at a seafood restaurant in Martha's Vineyard called Nancy's, a job which included everything from manning the cash register to cleaning tables. The restaurant is reportedly a frequent haunt for her parents when they are in town. 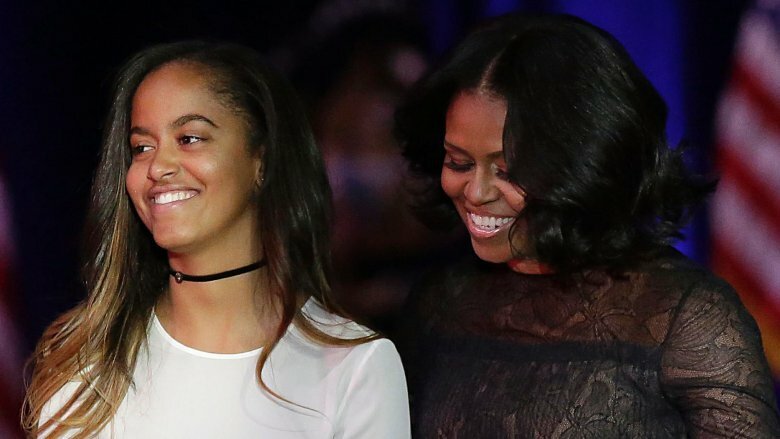 Although Malia and Sasha Obama walked away from the White House with their dignities intact, there were a few scandals to surround Malia during her stay as the First Daughter. 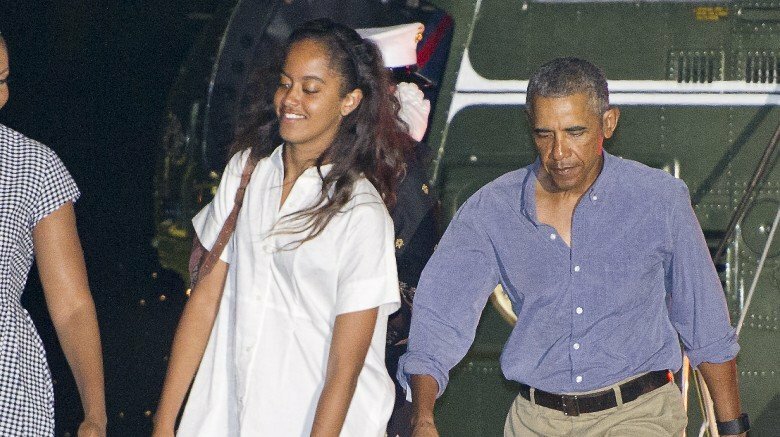 In the late summer of 2016, rumors swirled that Malia was part of a wild party on Martha's Vineyard that had to be broken up by police while the family was on vacation in the area. Just before the incident, she was reportedly caught smoking marijuana on camera during the Lollapalooza music festival in Chicago, Illinois. After graduating from high school in 2016, Malia Obama decided to choose Harvard University for her post-secondary education, but there was a catch; she was taking a year off before beginning her curriculum. Her decision to take a "gap year" was met with both praise and condemnation by outsiders, but the idea was that she would spent a year after high school engaging in other life experiences and adventures before becoming a full-time student again. Also subject to intense speculation was the fact that Sasha was missing from her father's final farewell address in Chicago, Illinois, especially since part of his speech was a touching tribute to his family. As important as the event may have been, priorities are priorities, and Sasha's main job at the moment is being a student at her school. She reportedly had a science test scheduled for the morning after the speech, so she was unable to travel to her home city to witness her father's speech in person. Keeping her curriculum unblemished by her parents' political life is so important, in fact, that the family plans to reside in Washington D.C. until she has finished high school. 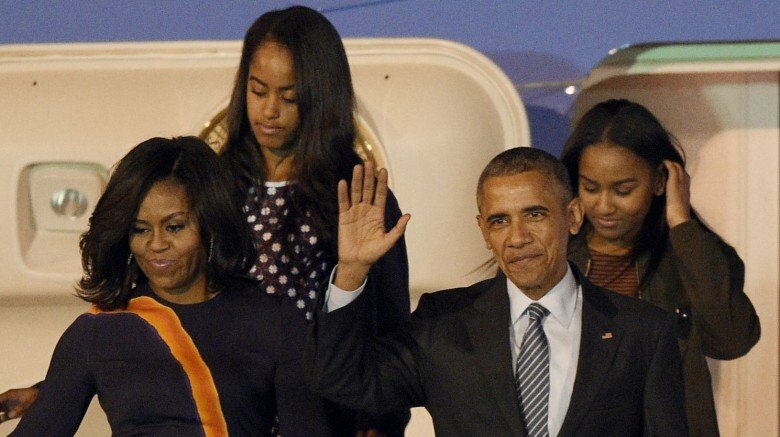 According to Barack Obama, the election of Donald Trump to succeed him in the Oval Office was quite disappointing to his daughters because they believed in the messages of support he and Michelle had offered on behalf of Hillary Clinton during the campaign. He told USA Today, "They were disappointed. They paid attention to what their mom said during the campaign and believed it, because it's consistent with what we've tried to teach them in our household, what I've tried to model as a father with their mom, and what we've asked them to expect from future boyfriends or spouses." 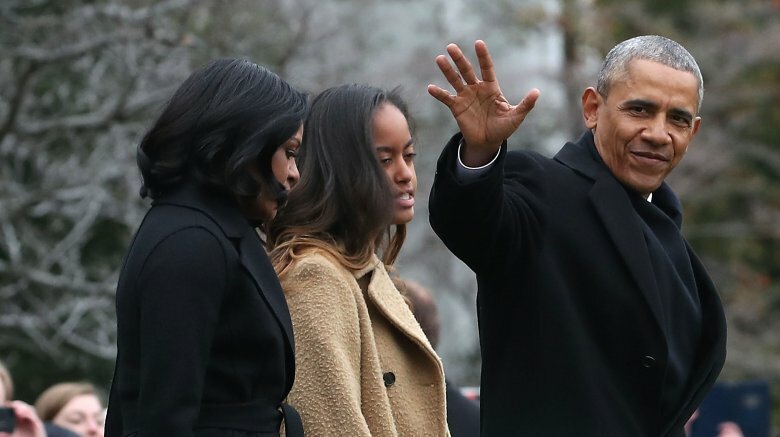 He added, though, that he and Michelle have tried to impart them with the wisdom of resilience and that "They have not assumed that because their side didn't win or because some of the values that they care about don't seem as if they were vindicated that automatically America has somehow rejected them or rejected their values." Most parents can attest to the tremendous amount of emotion that springs up when it's time to drop their children off at college, and the former president had just as tough a time as anyone else. 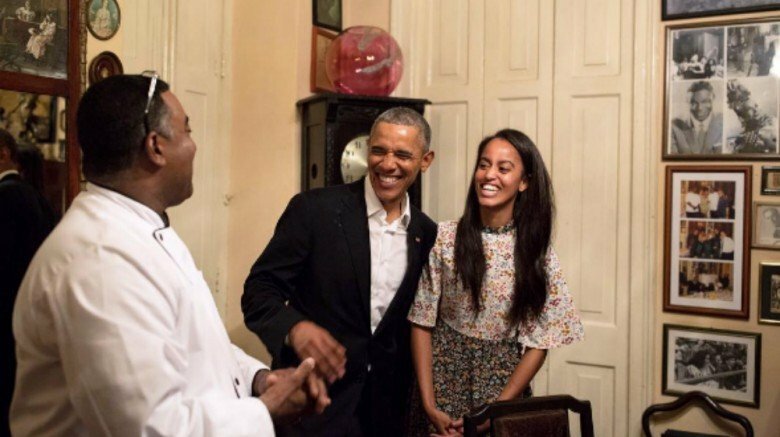 Following her gap year, Malia enrolled at Harvard University in August 2017. When her parents dutifully dropped her off at the prestigious university, her dad reportedly had a tough time keeping his composure, telling the crowd at a sports event (via People),"For those of us who have daughters, it just happens fast. I dropped off Malia at college, and I was saying to Joe and Jill [Biden] that it was a little bit like open-heart surgery. I was proud that I did not cry in front of her. But on the way back, the Secret Service was off, looking straight ahead, pretending they weren't hearing me as I sniffled and blew my nose. It was rough." For a man who managed to lead the free world through many tough trials, it sounds like it's the home front that always mattered most to him. D'aw. It may surprise some to know that, despite the fact that their parents were/are political rivals, Chelsea Clinton and Ivanka Trump enjoyed a long friendship with one another. The trials of the 2016 presidential election may have changed things for a spell, but an incident involving Malia seemed to reunite Clinton and Trump on the issue of privacy for the POTUS' children. After Malia was photographed in a private moment of affection with her boyfriend, Rory Farquharson, and was also snapped in another smoke circle situation, both Clinton and Trump lashed out at the unwanted attention in quick succession. Trump wrote, "Malia Obama should be allowed the same privacy as her school aged peers. She is a young adult and private citizen, and should be OFF limits." Then Clinton followed with a similar message, writing, "Malia Obama's private life, as a young woman, a college student, a private citizen, should not be your clickbait. Be better." Even though she's still residing in Washington, D.C. with her family, it appears Sasha does get some off-time from her studies at the prestigious Sidwell Friends School. She celebrated her Sweet 16 with friends and family in a ravishing red satin gown. Pictures from the event's photo booth circulated online, and it looks like she had no trouble cutting loose while her parents were in the crowd. 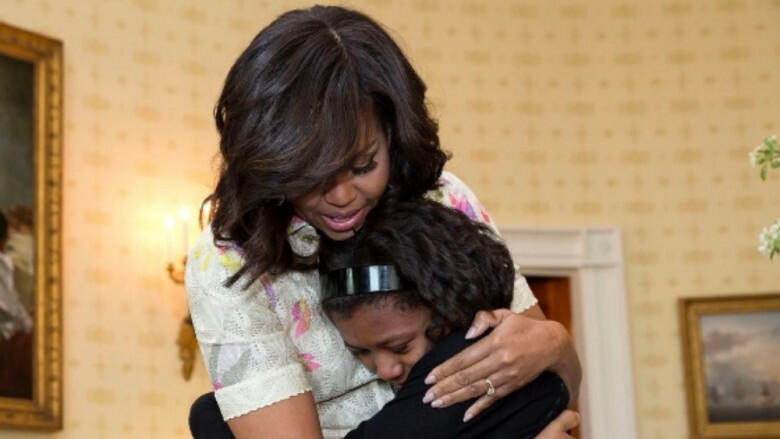 Considering the world has watched her grow up — Sasha was only 8 years old when her family took up residence at the White House — seeing her inch nearer to adulthood has been a surprise for some. Barack Obama isn't the only member of the family whose presence causes a stir. 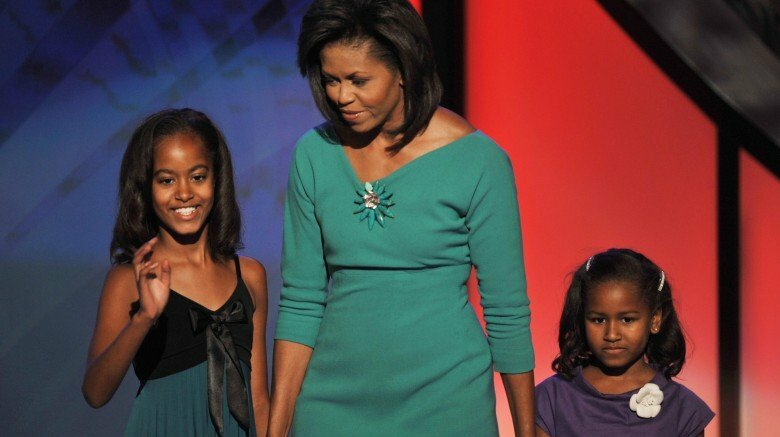 Former First Lady Michelle Obama revealed during a conference Q&A (via People) that for her daughters, "fame is a monster." She said as many as 20 to 30 people will approach Malia every single day and that she's been pleading for her daughter's privacy. Michelle also said she's proud of the way her daughter handles unwanted attention, even while turning down said requests. Grace and courtesy? Talk about a chip off the old block!